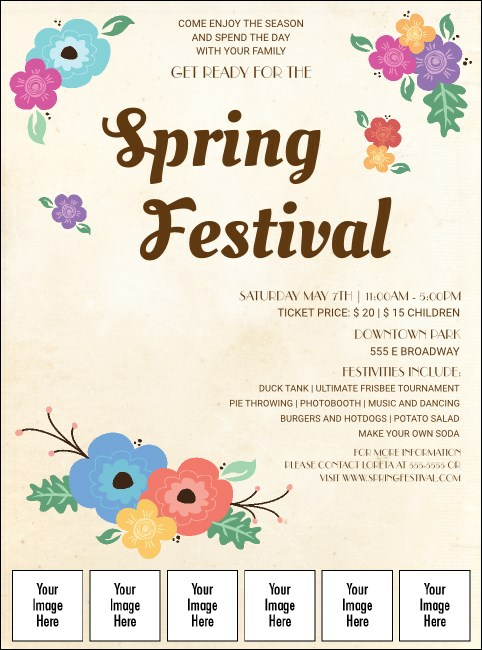 Watch your RSVPs flourish when you hand out Spring Festival Image Flyers around town! Thriving with florals and timeless typeface, this template’s style is excellent for community picnics, music performances in the park, and other seasonal events. Plus, there are six image upload spots, ideal for spotlighting sponsors or performers. Publicize your celebration with professionally designed flyers! Choose yours on TicketPrinting.com.